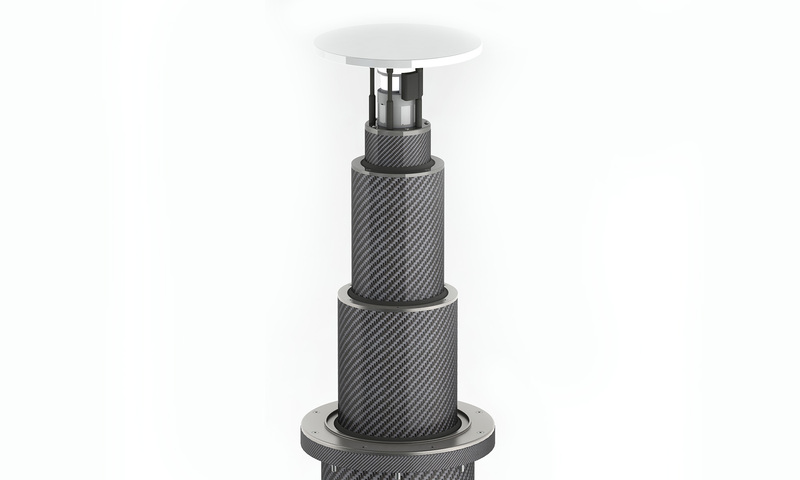 Structor is presenting a newly developed telescopic mast in single stage, two stage or three stage version. All our skills and expertise have been brought together to create a mast that combines strength, stiffness, dependability and aestetics in one design. Full carbon light weight construction with stainless steel hardware. Watertight construction. Navigation lights are dry and protected when not in use. Hurricane proof aerodynamic design without stays. Telescopic sections 267mm, 212mm, 150mm. Choose between Carbon print finish or painted in color of choice. Choose between hydraulic drive or electric drive. Suitable for Cantalupi or Lopolight navigation lights. Silent operation with soft start and soft stop. Operation from local control panel, from bridge or from hand held remote control. Compact but powerful LED downlights are optional. Weldable mounting adapters are always part of our supply. Customer service and support second to none.